This blog post aims to give you an idea of what to expect from your WCA. The health care professional you meet at your face to face assessment will always have prepared by looking through your file to ensure they’re familiar with all the details you’ve provided so far on your medical condition(s). This includes your completed ESA50 questionnaire, which you’ll have filled out and returned before the assessment, as well any further medical evidence, like a letter you’ve submitted from your GP for example. Indeed they should do this, but don’t always bother. Take copies of everything you have submitted to the assessment and confirm item by item that they have read everything – make them say yes or no to each rather than sidestep the question. Surprisingly, the fact that you might want the WCA audio recorded is not mentioned at all here. Best to ask for it in advance to give Atos time to arrange. If they will not, there are various options open to you to ensure you end up with an accurate record of what took place. There are a number of different elements to the WCA. Unlike previous conversations you may have had with your GP and others which were focused on diagnosing and treating your condition(s), all elements of the WCA are about understanding how your condition(s) affect your day to day life. How relevant this is to the practicalities of holding down a job is a source of great debate. The other difference is that it is safe to assume that whatever your GP recommends has been considered with your best interests at heart. Not so here. If the assessor thinks you can do odd jobs to look after yourself, you will almost certainly be declared fit for work. It has even been (cynically) suggested that the mere fact you have been able to get to an Assessment Centre means you must be fit for work. The health care professional who’ll be carrying out your assessment will meet you in the waiting room and accompany you to the assessment room. There, the first thing he or she will do is explain what’ll happen during the assessment, and what each section is for. Not so. The assessment starts from the moment you enter the Centre. In fact the HCP is told to walk behind you so they can observe your mobility. You will need to be on your guard throughout. They’ll also explain about the report they need to fill in during the assessment with your help and what information they’ll be gathering. Not completely true. The HCP will be making assumptions about your capabilities well beyond what they will discuss with you without any scientifically supported evidence whatsoever. A trip to the supermarket means that you can walk at least 800 meters unaided. Also, your mobility assessment will be made by considering if you would be better off in a wheelchair even if you do not normally use one and even if your GP has specifically advised against it. Although formal Wheelchair Assessment is a medical discipline in its own right, the short cut taken here will not be openly discussed with you and may not be explicit in the final report either. If this judgement is made, you will not be given any help over what to do next, but if you pursue obtaining a wheelchair through the NHS, you will need a referral from your GP (if they agree with the principle), you will have to wait a while for an appointment and then of course you may fail the assessment. This does mean that they’ll need to be typing as you talk during parts of the assessment, to make sure they don’t miss anything and that they’re making an accurate record of the information you’re providing. They’ll also explain what happens after the assessment. Make sure the HCP acknowledges everything you say - if they look preoccupied or inattentive, say it again. Do not become pressured or rushed. You’ll have a chance to ask any questions you might have at this point, and you’ll also be encouraged to ask any questions you have or raise any concerns as you go. It’s your assessment so the health care professional will do everything they can to make you feel at ease. I have had three and this was not the case in any of them. You may be luckier. The health care professional will then ask you about your medical condition(s). 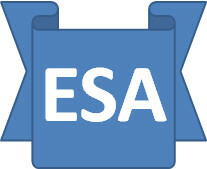 A lot of this may be information you’ve already included in the ESA50 questionnaire you’ve filled in, but this will be a chance to talk about what may have changed since you completed the questionnaire. They’ll ask questions to understand your current symptoms and how frequently you experience these. They’ll also ask about any medication you’re taking and any side effects you’re experiencing. Be very clear about all of this. Your HCP may not be as fully trained as your GP and will not be as expert as your consultant (if you are under one) and so may not appreciate all of the aspects of your condition, although they may give the impression they are. Next they’ll move on to chatting about your situation at home, such as who you live with and any accessibility issues you might have, like going up and down stairs. They’ll also be keen to hear about any work you’ve done in the past or are currently doing, and any difficulties you’ve experienced while doing them. Again, be on your guard as seemingly innocent and incidental questions may be interpreted with a very precise meaning that may or may not be applicable to you. This is the main part of the assessment and will be the element the health care professional spends the most time on. They’ll ask you to talk about your daily routine in detail – what you can and can’t do due to your health problems, or what you struggle to do. This allows them to get a good understanding of your daily routine and how your condition affects you. Many people have two typical days – a typically good day and a typically bad day, so make any variability in your condition VERY clear. During this part of the assessment the health care professional may ask you some quite detailed questions about your daily life that you may not have been asked before by other health care professionals. This is so they can make the most accurate assessment of the impact of your condition and they’ll always be happy to explain why they’re asking if you have any concerns. You constantly have to be alert to the underhand techniques being used so always ask why a question is relevant and what interpretation will be placed on the answer you give. Depending on the nature of your condition, you might then be asked for your permission to carry out a physical examination. This is a simple and not at all intensive examination – it’s not meant to make a diagnosis but instead to look at how your condition affects you physically. At most you might be asked to remove outer clothing layers, but nothing else. This examination isn’t like one you might have had at the GP where the doctor would have physically manipulated your joints for example. Here, the health care professional will ask you to control all of your movements yourself so you don’t exceed your limits or cause yourself pain. This is the first reference to pain, so make the levels of pain you experience very clear and how you manage it. There is an assumption that drugs can remove pain and if you do not take enough, the pain cannot be that bad. Be very clear over side effects and remember that the long term effects of medication will be downplayed. He or she may also carry out hearing, heart, breathing or sight tests depending on your condition. You won’t be forced to do anything that causes you pain and if you do feel uncomfortable you should tell the health care professional. Finally, the health care professional will explain again what happens next, and that you’ll be hearing directly from a Decision Maker at the Department for Work and Pensions (DWP) about the outcome of your claim. You’ll then be given another opportunity to ask questions or raise any concerns – the health care professional will be keen to make sure you don’t leave the assessment with any worries or unanswered questions. Once any queries you’ve raised are answered that’ll be the end of the assessment, and the health care professional will take you back to the assessment centre reception. Always worth asking the HCP for their initial thoughts on your capability to work or otherwise, but unlikely you will receive a straight answer. The DWP Decision Maker may technically decide if you are to receive ESA or not, but as the medical expert is the only one is qualified to comment on your fitness to work, they must have an opinion. Once you’ve left, the health care professional will fill in the rest of your report. They’ll do so straight after the assessment to make sure all the information is completely accurate, then send it, along with any other medical information you’ve provided, straight onto the DWP where a decision will be made about your claim. We hope that this was useful. If you have any other questions, take a look at the FAQ section of our site, which has lots of useful information about all aspects of the assessment process. Illnesses and disabilities affect people in different ways, and to different degrees, which is why the focus of the Work Capability Assessment is on capability, rather than diagnosis. Atos Healthcare health care professionals do not diagnose conditions or offer advice on their treatment, but review the information available about what each person is able to do. This is not true. In deciding you are fit to work in the absence of the specific agreement of your GP, the HCP is affecting your treatment programme and they cannot say otherwise. This emphasis on capability rather than diagnosis is a misnomer. The HCP sees you once and so cannot possibly see all of the variability that may exist with your condition. They can therefore only go by what you say and can only assess it objectively if they are familiar with the condition itself and its typical symptoms. Diluting the relevance of diagnostic and clinical knowledge is however necessary to allow the use predominantly of nurses and physiotherapists. The aim of the Work Capability Assessment (WCA) is to assess the effects of an individual’s health condition or disability on their ability to carry out a range of everyday activities. Note the careful avoidance of the word “work”. Note too that there is no definition of the word “work” as if it exists in only one generalised form. So you are been assessed to perform something that is not defined. This includes areas of functional capacity such as mobilising, standing and sitting, learning tasks and awareness of hazards which are relevant to work. Illnesses and disabilities affect people in different ways, and to different degrees, which is why the focus of the assessment is on capability, rather than diagnosis. Our health care professionals do not diagnose conditions or offer advice on their treatment, but review the information available about what each person is able to do. This information may come from the claimant, as part of the questionnaire that is completed, or through discussion at a face to face assessment. It may also come from the claimant’s treating health care professional. Note the surreptitious approach taken as described above – take nothing for granted and do not assume you will be given any benefit of the doubt. Note too that Atos has decided that bending and kneeling is no longer necessary in any job these days so your ability to do either/both is not even tested. All of the people we employ to carry out WCA assessments are trained, fully registered doctors, nurses or physiotherapists. In theory yes, but there is no foolproof system place to make sure that registration is ALWAYS up to date. In addition to their existing clinical expertise, they have all received specific training to become disability analysts, to provide WCAs in accordance with Employment and Support Allowance (ESA) legislation. Following training, each healthcare professional must demonstrate their competency to the Department for Work and Pensions before gaining their approval to produce WCA reports. Most people applying for Employment and Support Allowance (ESA) will need to attend a face-to face assessment – the Work Capability Assessment or WCA – with a trained Atos Healthcare professional. If you are asked to attend a face-to-face assessment, the healthcare professional you see will fill out an assessment report setting out the details of your condition(s) and how it affects you. This blog post provides further information on the report and how it’s used. What is your assessment report? The report is split into two halves. The first part will be completed by the healthcare professional whilst you are talking together. It will include information about all the conditions you’ve been diagnosed with, how you feel these affect you and details of what you do in a typical day. They will take account of symptoms that are not the same every day. The report will also cover what medication you’re on and any side effects you may be experiencing from that, as well as noting any findings from the simple physical examination that may be required in some cases. You will notice the healthcare professional is noting this information as you talk together to make sure the report is accurate. When your assessment itself is over, the healthcare professional continues to work on the second half of the report. Here, the healthcare professional will set out their view of how you’re affected by your condition(s), using all the information from your conversation with them as well as any other medical information present. They will base their assessment on a set of criteria known as “functional descriptors” – actions and capabilities that may be affected by your condition. These “descriptors” take account of physical, sensory and mental health problems. The healthcare professional must use these criteria as they have been defined by the DWP within the legislation relating to ESA. The healthcare professional will summarise the information present. We then send the report, along with any other information you’ve provided, such as further medical evidence, to the DWP. A Decision Maker at the DWP will then use all of this, and any other information they have, to make a decision on your claim. The healthcare professional that carries out your WCA doesn’t make any decision about your benefit entitlement, and won’t know the outcome of your claim. So if they get it wrong they will be none the wiser and will make the same mistakes over and over again. How can you get hold of a copy? You’re entitled to see a copy of your assessment report. If you’d like to get a copy, you just need to get in touch with the Jobcentre Plus office that is dealing with your claim.